Get set for a trip that takes you to the heaven on earth, Kashmir. 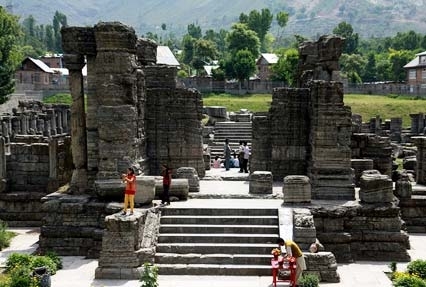 You will visit the most enchanting parts of this heaven, like Srinagar, Pahalgam and Gulmarg. Kashmir has gigantic mountains, topped with snow, and carpeted with trillions of colorful flowers and crystal clear lakes. 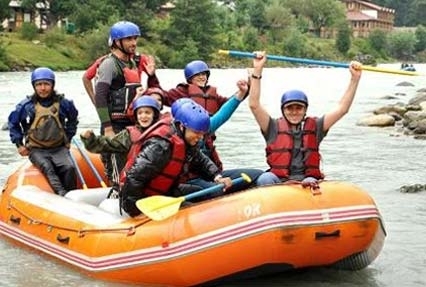 Prepare for a journey that not only offers beautiful sights, but recreational activities as well, like skiing, trekking, rafting, golfing, boating and many others. Glofing at world’s highest golfing ground. On your arrival in Srinagar, meet our representative and get transferred to a hotel. Srinagar is the summer capital of Jammu and Kashmir and is carpeted by colorful flowers and crystal clear lakes. Check in to your hotel room and enjoy the time in leisure. By late evening, dinner is served; savor sumptuous delicacies of Indian, Kashmiri and other popular cuisines. Stay overnight. 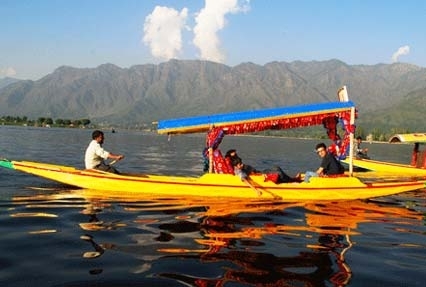 Leave for boating in the famous Dal Lake after breakfast. Dal Lake has isles housing vegetable gardens, orchards, orchids and handicrafts centers. Afterwards, return to the hotel room and relax. 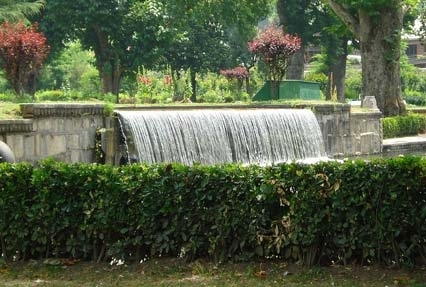 In the evening, depart to visit Shalimar Mughal Garden (a very popular garden built by Mughal Emperor Jahangir for his wife Nur Jahan, in 1969. Biggest highlights of this garden are Chashme Shahi and Nishat Bagh. The garden houses a variety of colorful flowers.). Thereafter, offer prayers in Shankarachariya Temple (The temple is dedicated to Lord Shiva and is located at the hill-top, at the height of 1000 ft). After darshan and enjoying the splendid view of the surrounding from the top, you head to the room and stopover in Handloom center to shop for famous Pashmina / Shahtoos shawls and carpets. By late evening, you return to the hotel room. Stay overnight. Have breakfast on day 3 and depart for Pahalgam. Pahalgam is at the distance of 96 kilometers from Srinagar and is placed at an altitude of 7200 ft. Here, you can enjoy trekking, trout fishing, boating, river rafting, golfing, house riding and picnicking. In the afternoon, check in to a hotel in Pahalgam, have lunch and spend the time relaxing and enjoying the scenic beauty of the surroundings. Thereafter, you stay overnight in the hotel. On day 4, in the morning, leave for Aru Valley (known for its scenic view, lakes and meadows) or Chandanwari (the route to the holy Amarnath Cave). After this, you are free to explore the area at your own leisure. Get back to the hotel by late evening and stay overnight. Refreshing breakfast is followed by visit to Gulmarg. This two and a half hour drive will take you to a popular piece of heaven in India. Gulmarg is situated at an altitude of 2690 meters, and is the premier winter spot of the country because of its beauty and all the adventure activities it offers; not just in winters, Gulmarg is beautiful in every season. 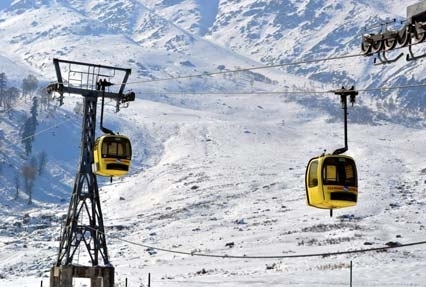 You can indulge in golfing (Gulmarg boats of having world’s highest golf courses) and savor the view of the surroundings in the cable car (The service runs up to Alapather via Kongidoori. These are the longest and highest cable cars in Asia). Later, check in to your room, have dinner and stay overnight. This day, you visit Khilanmarg (Thousands of tourists visit this valley to indulge in snow adventures in winters and enjoy the view of colorful flowers spread throughout the area in spring). Later, enjoy the Gondola Cable Car Ride (Additional costs) (The service runs up to Alpather via Kongdoori. These are the longest and highest cable cars in Asia). In the evening, return to the hotel. Dinner and stay overnight. In the morning, you get assisted transfer to Srinagar Airport to carry your own journey. Tour ends.